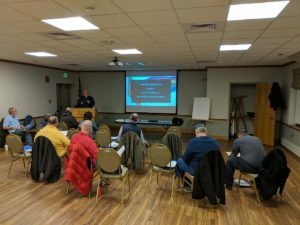 The PVVET will be hosting an examination on Tuesday, February 22nd at the Holyoke Medical Center’s Auxiliary Conference Center following the Hampden County Radio Assoication’s technician class license course. The examination will be open to the general public and we will be testing for all Amateur Radio Licenses free of charge. Those wishing to take an exam must obtain a FCC registration number and pre-register. Both can be done here. It only takes a couple minutes. Doors open at 7:00pm and examinations will start once all have checked in. Please refer to our examination information for what to bring and exam details. If you have any questions, please read our Frequently Asked Questions . If you still have any questions, you can always contact us.